Product #60608 | SKU 5-132 | 0.0 (no ratings yet) Thanks for your rating! Convert any 3/8" mounting hole to a 1/4" mounting screw, or vice versa, with this solid steel conversion screw. 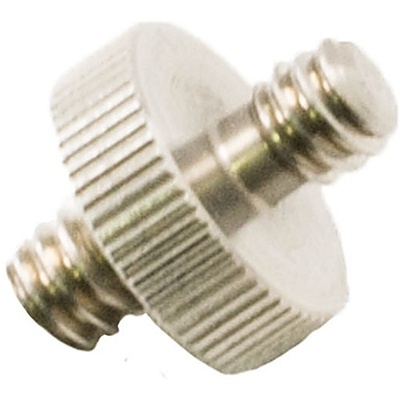 The Cinegears 3/8"-16 to 1/4"-20 Mounting Conversion Screw converts any 3/8" (0.95cm) mounting hole to a 1/4" (0.6cm) mounting screw, or vice versa, with this solid steel conversion screw.